Though I share and post little snippets of our lives frequently, mostly on social media, it feels like I haven’t written in ages. Not as I used to. 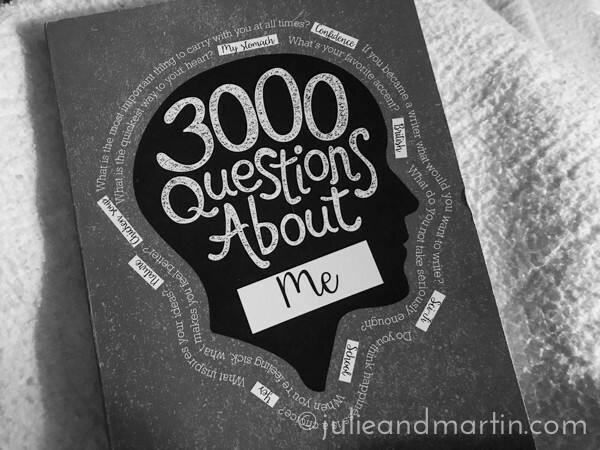 That’s how I ended up with “3,000 Questions About Me” published by Piccadilly. At least once a month, if not more, I will publish on a Wednesday my response to a random question from inside this book. I’ll simply share the question number, and then my response. UPDATE: You can read all the prompts I’ve published so far HERE.